Designex Sydney 2014 was a great success for PVCPLUS. We were very overwhelmed with the support and number of visitors we had considering it was our first time exhibiting in any event of its kind. Our in-house designed showcase attracted many visitors, mainly due to the curved feature wall as well as the range of patterns we had on display. The timber pattern – “Natural Timber” – used for the curved wall was a big talking point. We all know it is near impossible to curve timber, but with PVCPLUS panels, nothing is impossible. We are excited to announce, for the first time we will be displaying at Designex 2014 in Sydney. 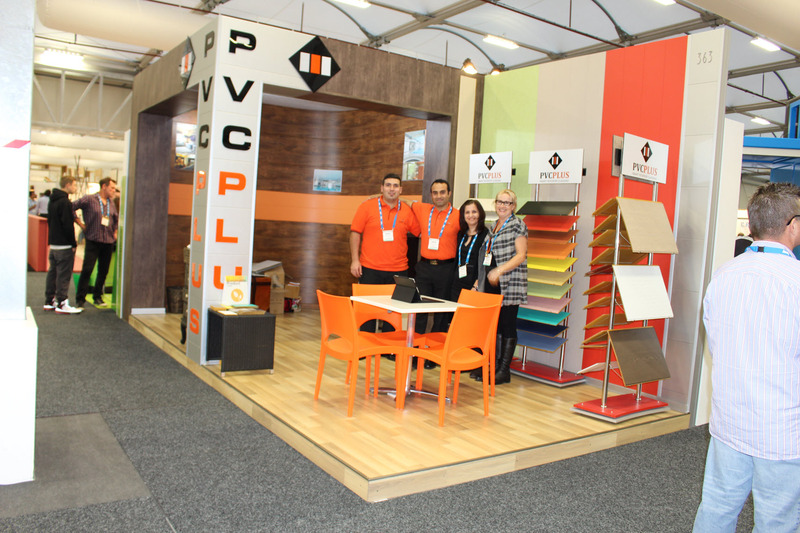 Visit our showcase (#363) from 28th-30th May, 2014 for an insight into PVCPLUS Smart Interior Cladding. Make an order at our showcase and you will receive 20% off any purchase. 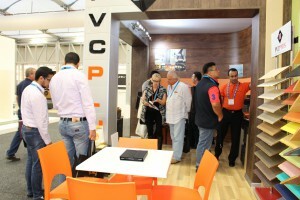 Why Choose PVC Panels for Interior Wall Cladding over Other Alternatives? Universal character: You can nail down a PVC panel horizontally, fix it vertically or install it at any other angle of your choice, both on the walls and the ceilings. Durability: PVC panels do not fade and their colour remains as original as you first bought them. They are water and insect-proof. 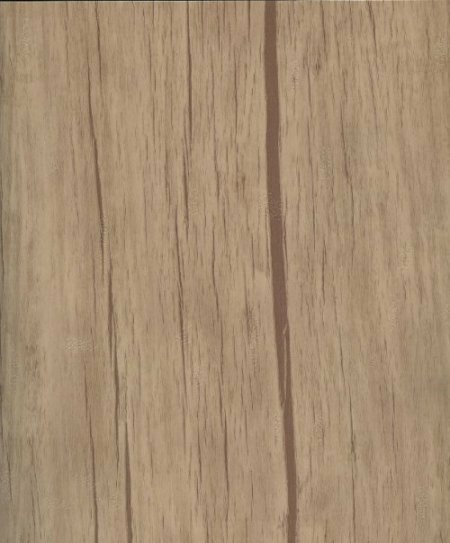 You need not worry about termites eating away into your PVC panel cladding, as they do with wood. All these factors give PVC panels a longer life as compared to paint, wallpaper, tiles or wood. Easy installation: Being only 3.5-4kgs per square metre, these panels are very easy to handle and install. You do not need any special tools to install them either. Incredible variety: PVC panels are not only light weight as compared to tiles but are also available in a wide variety of colours and patterns. You can use bold colours to blend with the overall colour scheme of your interiors or mix and match unique patterns to lend a creative touch to the space. As a practical alternative to tiles, they add life and vigour to your rooms. Insulation: PVC panels help to insulate your home interiors and keep the overall temperature inside your room just ideal for you! In doing this, they help to increase the efficiency of your air conditioners or room heaters. Flame resistance: PVC panels are fire resistant (up to 60 degrees) and no matter where you install them – whether on the walls or on the ceilings – they give you the highest Class 1 fire rating by AUS/NZ standards, for any finish. Whats amazing for this type of product is after removing the main source of fire – the product is self-extinguishable – the PVC panel does not burn by itself! Water resistance: These panels are 100% water resistant, which means you need not worry about damp walls or ceilings anymore (not even in your bathroom!). They are completely moisture and damp proof. Anti-mould and insect proof: Most wall paints are not immune to dampness and thus become a breeding ground for moulds and insects (remember dark, wet corners in the kitchen, bathroom or basement?) As against these, PVC panels are completely anti-mould and insect proof and thus, more hygienic too! Unlimited applications: Due to their high incredible flexibility, PVC panels are widely used in homes, offices, showrooms, theatres, swimming pools, spas and salons, restaurants and bars and many other places. PVC panels are attractive, durable and contemporary replacements for painted walls and old and damaged tiles In fact their aesthetic finesse and economic practicability give them an edge over other alternative forms of cladding including marble, stone or wooden. What makes PVCPLUS panels the ideal choice for your home and office? An assortment of colours and finishes to choose from – to lend an exquisite look and feel to any room. Durable, chemical-resistant, and hygienic decorative wall panels that can be safely installed in kitchens and food preparation areas. Smooth surface that is simple to clean and maintain. Call us now at 1300 628 179 to know how PVCPLUS panels can transform your living spaces into a stylish ambience.